Jaswant may be right or wrong about Jinnah but the BJP’s intolerance towards different interpretations of the past compromises its future and the country’s as well. At the best of times, the Bharatiya Janata Party’s line and manner of comportment have borne scant resemblance to the norms of democracy. But for India’s principal opposition party to expel one of its seniormost leaders for nothing more than having written a book establishes a new low in our political discourse. 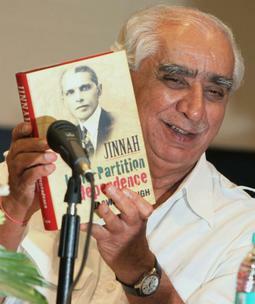 Jaswant Singh’s expulsion and the Gujarat government’s shocking decision to ban his book, Jinnah: India, Partition, Independence, have revealed the undemocratic core of the BJP’s politics and diminished the stature of Indian democracy as well. That the book is a work of historical analysis pertaining to events which occurred more than 60 years ago and not a critique of the BJP’s policies or ideology is symptomatic of both Hindutva’s own authoritarianism and the new intolerance that is permeating every aspect of social and political life in India. That the book has almost certainly not been read in its entirety or even partially by all or even some of the BJP leaders who voted unanimously to expel Mr. Singh is testimony to the mob mentality which prevails at the highest levels of the party. Seventeen years ago, the party took part in the demolition of an ancient mosque in Ayodhya. Today, it is taking its political vandalism one step further, into the realm of ideas, by declaring as heretical — and even criminal — the writing of history that does not conform to its own narrow views. To be sure, the malignancy of intolerance runs deeper in our body politic than most of us would like to admit. If Chief Minister Narendra Modi is able to ban a book simply because it allegedly contains “objectionable remarks” against Sardar Vallabhbhai Patel and reaches “whimsical conclusions” about the Freedom movement, this is because other parties and other state governments have banned works of history on grounds that were equally capricious. In 2004, the Congress-NCP coalition in Maharashtra imposed a ban on James Laine’s scholarly biography of Shivaji. This after goons, who obviously had the protection of the state establishment, had vandalised the Bhandarkar Oriental Research Institute in Pune where Professor Laine had done some of his research. Elsewhere in India, uber-regionalists, hyper-nationalists and religious fanatics pose as self-appointed guardians of literary, historical or religious icons and threaten violence on authors, playrights, actors, artists, poets and musicians who do not conform to their hagiographic standards. The slightest deviation from the norm in representation or analysis is treated as blasphemy, defamation. And, in the absence of the rule of law being properly enforced, writers and cultural workers are forced to appease their extremist detractors. The first BJP leader to fall foul of the lakshman rekha of independent thought was, ironically, L.K. Advani. In 2005, he was attacked for painting a picture of the founder of Pakistan that contained shades of grey rather than the usual black and white. Under pressure from the RSS, Mr. Advani was forced to backtrack, moving a political resolution on Jinnah that effectively recanted his earlier characterisation of the Muslim League leader as ‘secular’. Today, his back to the wall for having led the BJP into electoral defeat twice in a row, Mr. Advani is in no mood to provide succour to Mr. Singh. When hands went up in Shimla to expel his intellectual fellow-traveller, the BJP’s Prime Minister-in waiting dutifully joined in. If revolutions are said to devour their children, counter-revolutions sometimes end up consuming their prophets. Of course one can fault Mr. Singh for being a willing part of the politics of intolerance all these years. Perhaps he did not realise in 1992 that the clubs which rose to obliterate a part of Indian history would one day be raised against the very idea that there could be multiple histories. Perhaps he did not foresee then that those who destroy mosques are equally capable of banning books. The Jaswant Singh affair is first and foremost an oracle for the atrocious state of affairs in the BJP but it also forces us to ask: Can Indian democracy survive without the freedom to think and write? Can it flourish without the right to question and interrogate received wisdom? Can it be vibrant without being able to take irony, humour, irreverence and even a bit of disrespect in its stride? The individual fate of Mr. Singh need not detain us here but the manner and basis for his expulsion will further circumscribe the arena for debate and discussion within and between political parties. And if the Gujarat government’s ban on his book is allowed to prevail, it will have a chilling effect on a wide range of academic and cultural endeavours across the country. Ok I have blogged about this,but I completely agree with the author of this post.I have read Jinnah India Pakistan Independence and I must say it was a wonderful read. It's not mere intolerance, it's more about wanting to send out a terse signal. 1> I don't think it does any injustice with any country or any body. 2> Its his interpretation of History with a bit of Ifs, Buts, could & would, not a party line or any policy document. 3> Importantly, this book shows a big difference between quality of leaders, thinkers in India in comparison with Pakistan's. Our friendly neighborhood Stalinist-Maoist-leftist 'intellectuals' discover freedom of expression and freedom on speech whenever it suits their propaganda purposes. Not when it does not. Not when Taslima gets hounded out of a Stalinist ruled state because some minority votes matter. Not when thugs who are supposedly allies of the Congress dynasty assault her..
Not when Salman Rushdie gets his books banned..
Not when they refuse to condemn or discuss the various purges, killings, tortures and murders of writers, journalists, and others by their own party bosses and their overseas handlers..
Its nice that you wrote about this in the Hindu, However I would have been happy if you had also mentioned about a book by Arun Shourie on Ambedkar. I am not sure of the name of the book but I remember that the BJP on Ambedkar Jayanthi were trying their their best to convey that the comments in the book were that of an individual and no that of the party. Seems views on ambedkar do not form the party's CORE IDEOLOGY . If Mr. Jaswant has to be expelled then Mr. Shourie must also have been expelled. RSS has been sticking to an ideology that has buyers lessening among the elite and those Indians that are progressing towards modernity. 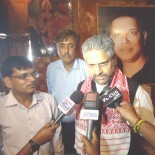 In such a given scenario the only admirers left with them are those “rustic” leaders who would be more in consonance with Talibani style of functioning due to their lack of keeping pace with the still remaining educated ones in the party . My understanding is that BJP may not remain intact for much longer because some of their broadminded leaders might feel suffocated just like Jaswant did. But the curious case is of Advani. He at this age has not yet even thought of earning a little goodwill among the non-rightists of the country. He would be the most disgraced of the history, surely. I don;t know that he is right or wrong about Jinnah. but the thing is that Can Indian democracy survive without the freedom to think and write? and i really wonder with it . I agree that the banning of the book is a very damaging act, but I would have really loved to see you give us instances of those cases where such things were imposed on the people. It would have given a better perspective on how the Indian Democracy actually diminished, over a period of time. Instead, the article went on to bash BJP, not in total conformance with the title. This entry was posted on August 21, 2009 by Siddharth Varadarajan in Indian Politics.